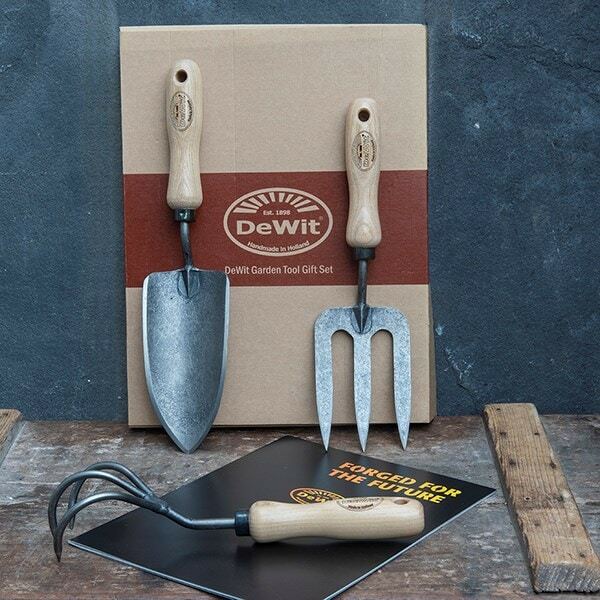 Buy De wit essential tool set: <ul><strong><li>Forged carbon steel with solid ash handles</li><li>Presented in a branded gift box</li><li>Lifetime guarantee</li></strong></ul><br>This handy tool set contains a trio of premium quality De Wit hand tools for general cultivation and planting in containers and beds.<br><br>Forged in the traditional way, the tools are built to last from carbon steel and fitted with solid ash ergonomic handles for a secure, comfortable grip.<br><br>The set provides everything you need to plant, dig, aerate, cultivate and weed in smaller spaces, and includes:<br><br><ul><li>Hand trowel - essential for planting, digging and weeding</li><li>Hand fork - strong bevelled tines offer great penetration for easy breaking and turning of soil</li><li>3-tine cultivator - sharp streamlined ‘claw’ helps loosen and aerate soil between plants.</li></ul><br>The tools are supplied in an attractive presentation box which makes a great gift for any gardener.<br><br>Measurements:<br>The length of the three tools ranges from 27.5cm to 33cm.<br><br><strong>About De Wit tools</strong><br><br>The Dutch are renowned for making the world’s finest garden tools, and De Wit is the most respected name of all. Founded in 1898, the family-owned toolmaker combines old-fashioned quality and craftsmanship with innovative design to create superior tools that last a lifetime.<br><br>Every tool is hand-forged in the Netherlands from tough boron steel - shaped, sharpened and burnished for durability, giving it the same blackened patina as traditional Edwardian tools. Each is fitted with an FSC-certified solid ash handle for ultimate strength and shock resistance, oiled to provide first-class protection against the elements.<br><br>All De Wit tools come with a lifetime guarantee against manufacturing defects, making them a truly once in a lifetime purchase. 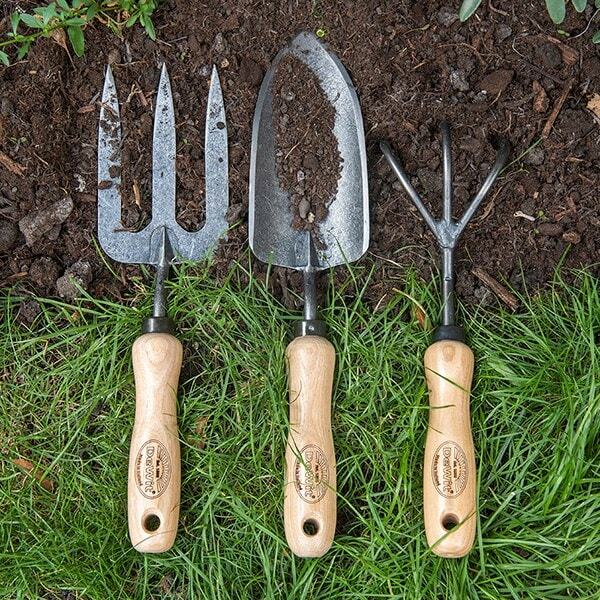 This handy tool set contains a trio of premium quality De Wit hand tools for general cultivation and planting in containers and beds. 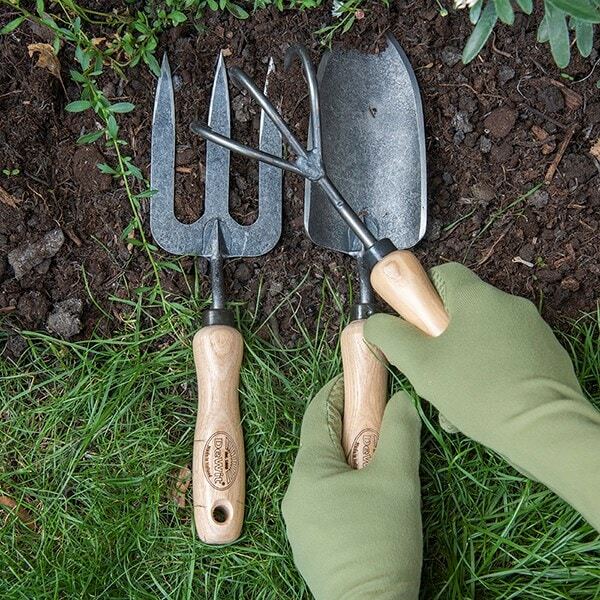 3-tine cultivator - sharp streamlined ‘claw’ helps loosen and aerate soil between plants. 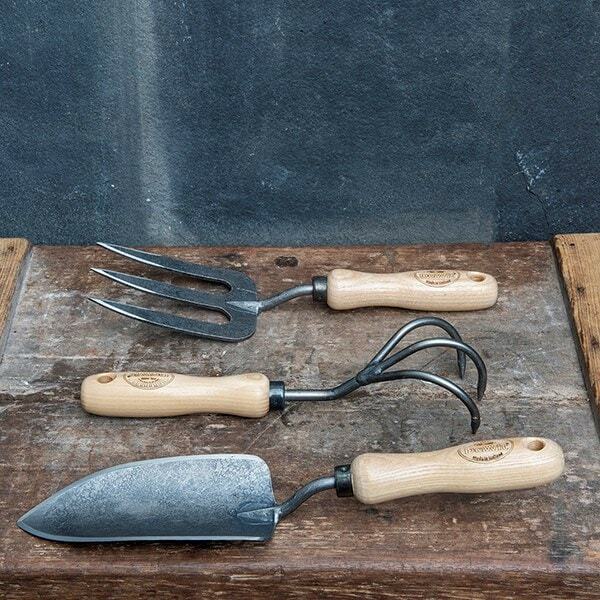 The tools are supplied in an attractive presentation box which makes a great gift for any gardener. 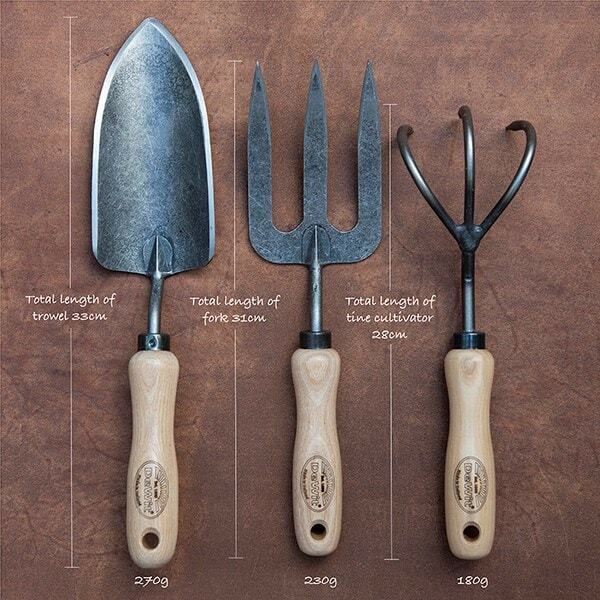 The length of the three tools ranges from 27.5cm to 33cm.